The first downloadable Easilang book is called “Life in England”. 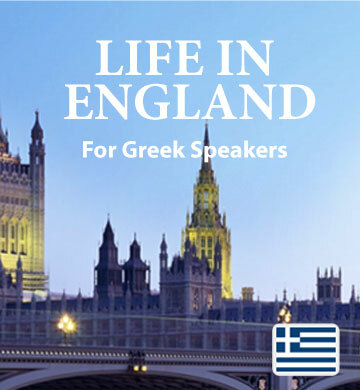 Each story is based around real life experiences, giving Greek speakers an inside look at how English is used in everyday situations. As you follow along with each story, you’ll be introduced to words in their natural context, and get a chance to hear them as they are used in real life. Learning, understanding, and memorising vocabulary comes easily and enjoyably when you spend time with this book. When you download this book and the accompanying audio track, you’ll also receive the Easilang mobile app, which allows you to take Easilang along wherever you go.